Marketing plays a major role in the growth of the organization irrespective of the field. Right from small startups to giant companies everyone is in need of best marketing strategies to lead their competitors. Effective digital marketing is the objective of any businessmen. Since this will automatically drive a large number of the audience towards them and aid in retaining the existing customers. The traditional advertisements are no more drawing the attention of the users like before. With the constant change in trends, the handling methods for the advertisements must also be changed. Even mobile ads are also now not likely to impress the users. Around 70% of smartphone users neglect the advertisements. So, how to make effective marketing campaigns? Social Media is the answer. Almost all smartphone users are engaged in some kind of social media platform. Hence, you can make use of this to run the marketing campaigns. Even they seem to be ignored. Then how to make you every penny invested over the advertisement made to count. When you market your product, try to be more accurate. This will increase the effectiveness and save you a lot of money. Find your ideal target group and work on them. List their behavior pattern and preference, this will give a great idea on the content to be posted to them to draw their attention on an immediate basis. Social Media is the best opportunity to take your sales to the next level but this will be possible only if you could produce the best content. 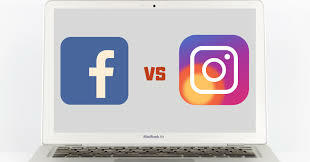 Instagram and Facebook are among the top list. So, how the content must be in order to increase your reach? Here are certain tips for you to consider. Most of the people will be viewing the Facebook profile only for the sake of boredom or killing their time. You can change it by making them more interactive. Conducting contests will encourage them to participate instead of killing time on other posts. Announcements with cash awards and exciting prizes will be much more amazing. You can also consider giving a voucher to purchase from your own brand or announcing offers as rewards can also be a good idea. This will not only engage them but also make them as your customer. If your products are best enough this can also turn them to be your long term customers building a strong relationship between you and the individual. Generate posts or hashtag that are highly catchy to draw them into the contest. Later promote your product and specify the kind of services you comfort them with. For example, the Body Shop created a hashtag as a #healthy moment and created a revolutionary marketing trend. They conducted highly engaging contests and rewarded the users with exciting prizes. The view count reached 200% within a short span of time. One of the best strategies to reach remarkable reach is through engaging the users to your content. Post something extraordinary that the users must find much fascinating to try. It must feature the product as well as tempt the users to generate posts with your product. Consider the beauty brand, Frank body which serves as an inspiration for this particular strategy. It employed high influencers into action with an engaging post. They motivated the users to post their own images of using the face scrub along with an attractive hashtag as #Let’sBeFrank emotionally challenging the users to make it possible. People enjoyed doing this and automatically posted related contents. It turned out to a viral spread earning a huge market within a few days, earning a lot of new customers into their account coming up with great reviews upon application of their product. Some users will love buying some product when it is worn by another person and looks great on him. This is similar to modeling where a model showcases the product. You need the perfect snapshot of the product and impress the viewers before they scroll down. You can contact the best internet marketing companies to create such fabulous work for you and leverage your marketing by a large scale. Especially this is a popular one among the fashion industry and the apparel industry. When the contents are much actionable it is likely to draw the attention of the majority of the users. Food is another popular category that is widespread in the Social media within few hours of its post. Bring posts into action means that you put your product in the real world application to tell the users how your product will fit them into their life or what pleasure it can bring to their life. Stories are another powerful tool. You must make sure that you generate a highly compelling content that will make the user click over it. This is not bound to any type of product; everything can come under this one. All that you need to do is to think out innovatively and a put forth a story that will allure the user to click and find more details. According to a survey other than the normal static contents, videos are the ones that keep the user highly engaged. Hence, post marvelous videos and posts of excellent quality to get a better reach.